In 1904, a Barnardo's 'Ever Open Door' was established 81-83 William Street, Sheffield. It was the fifteenth such establishments to be set up in Britain's provincial towns and cities and followed on from those already opened in Bath, Belfast, Birmingham, Brighton, Bristol, Cardiff, Edinburgh, Hull, Leeds, Liverpool, Newcastle, Portsmouth, Plymouth, Sheffield and Southampton. The Ever Open Door houses, with their slogan 'No Destitute Child Ever Refused Admission', were open twenty-four hours a day and provided short-term shelter for homeless youngsters while consideration was given to their future, which would generally be in a long-term Barnardo home or emigration to Canada. The William Ever Open Door could accommodate up to twenty children with the maximum age of admission being 15. The building no longer survives. 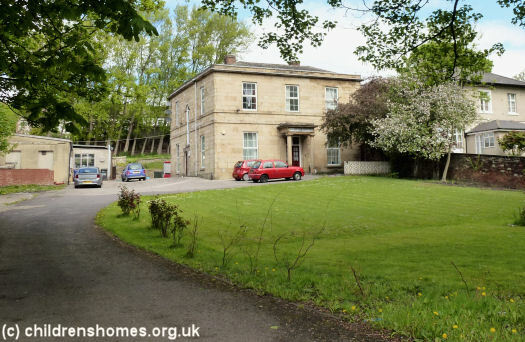 In 1916, the home relocated to 253 Pitsmoor Road, Sheffield, a house dating from around 1825. Its location is shown on the 1923 map below. Sheffield Ever Open Door site, 1923. The home closed in 1947 and was subsequently used as a vicarage. In more recent times, the property, now a listed building, has been known as Kashmir House and used for office accommodation.